If there was a method of gardening which promised 100% of the harvest, using just 20% of the space and only 2% of the work, most gardeners would be very interested. In fact there is a method that claims to do just that. 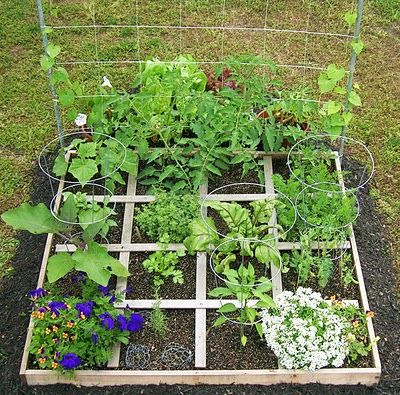 Square foot gardening is a simple way to create easy to manage raised beds that need a minimum time spent maintaining them. 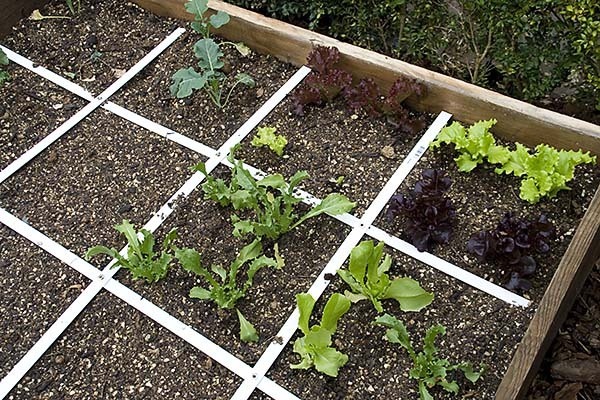 So how does it work and what do you need to know before planting a square foot garden? Square foot gardening was developed by retired engineer Mel Bartholomew in the 1970’s. He used his analytical skills as an engineer to eliminate the inefficiencies he saw in traditional gardening methods. In particular he found the average gardener spent hours weeding the big gaps between long rows of plants, creating unnecessary work for themselves. 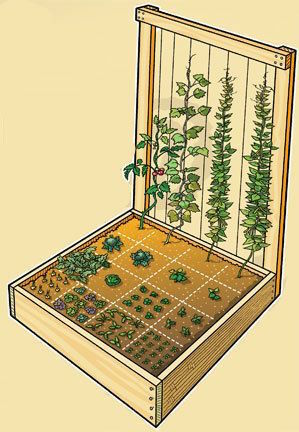 The building blocks of the square foot gardening method are raised beds, typically 4ft x 4ft and 6-12in deep. Almost anyone will be able to reach into the middle of the bed with these dimensions. 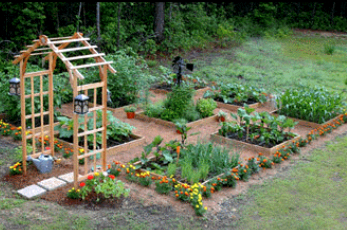 The raised beds can be placed on any surface of the garden – eg. 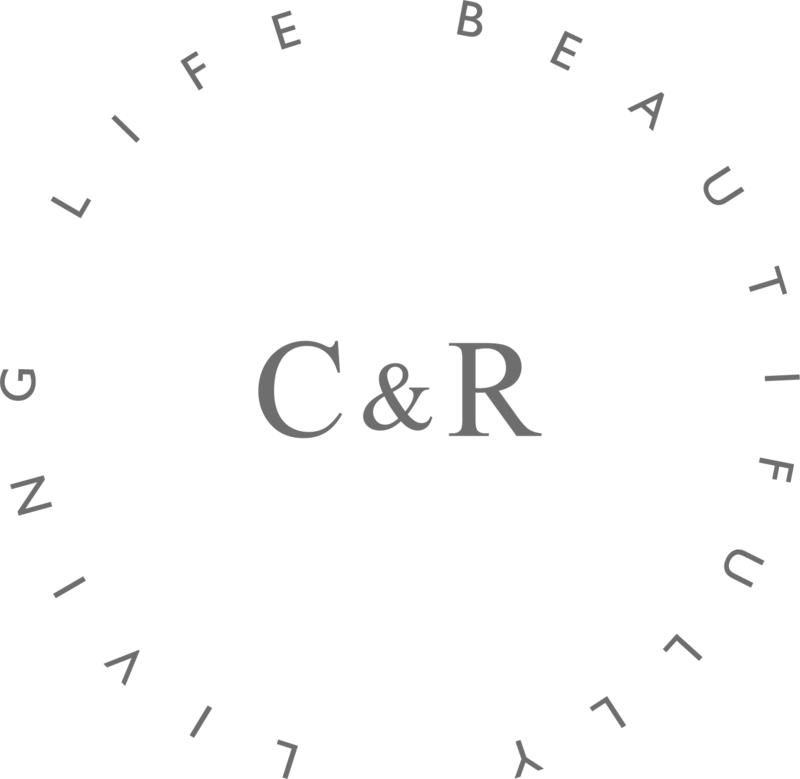 grass, soil or concrete. It doesn’t really matter what’s underneath because each raised bed will be lined with plastic and then filled with a rich, moisture retentive soil. 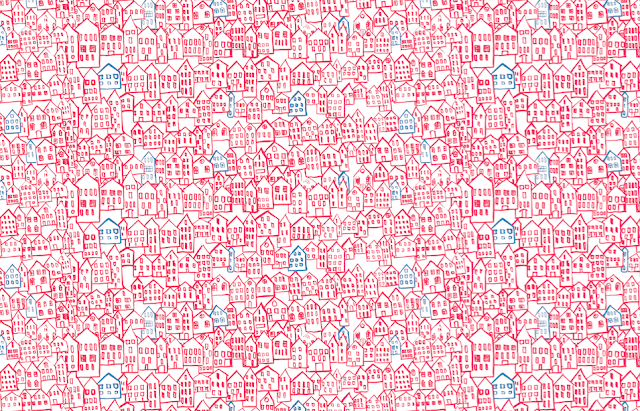 On top of this add a 1ft x 1ft grid. 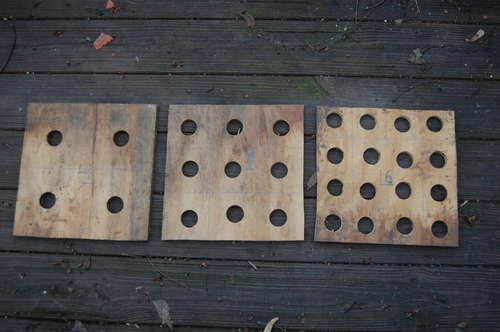 Making it out of wood makes it easier working with later on. These beds mean there is no need to walk on your soil, which risk compacting it and reducing drainage. 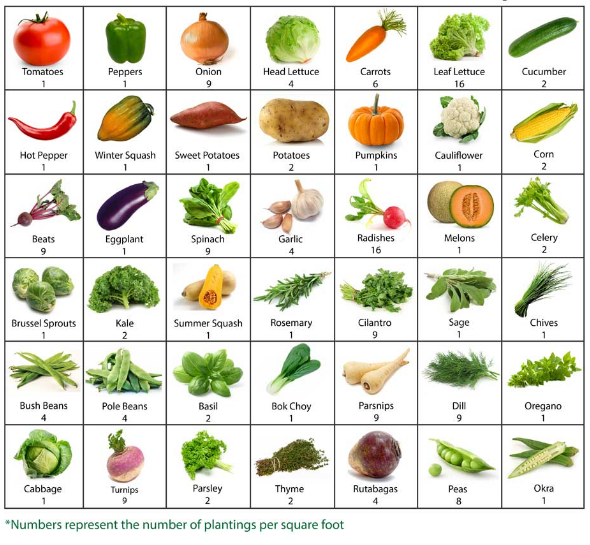 Each 1ft square is planted with just one type of crop. 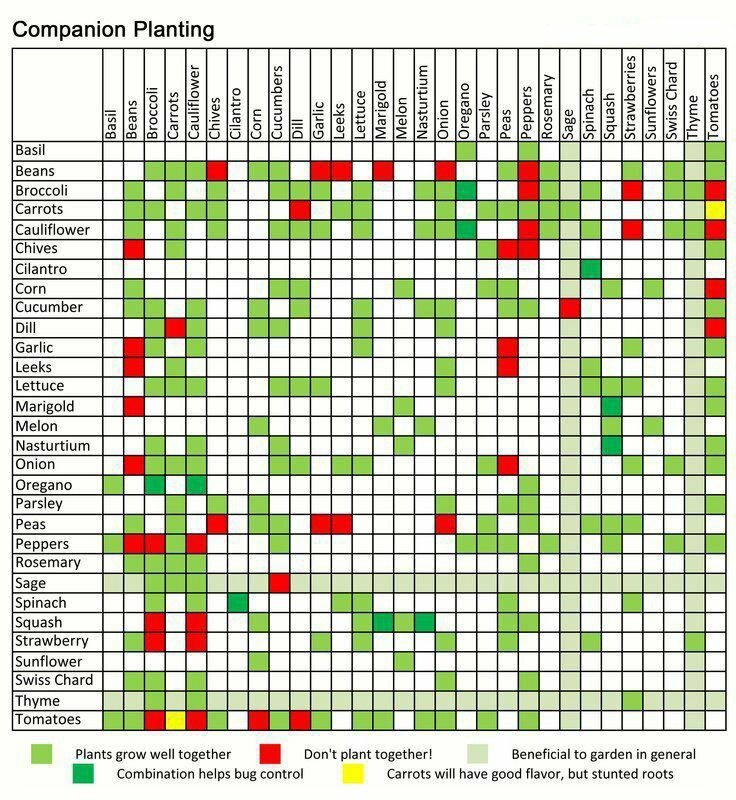 Across your raised bed it is recommended that you plant each square with different crops (ideally companion plants), so in a 4ft x 4ft bed you can plant 16 different crop types. To keep the planting simple there are no plant spacings to remember. Instead each square has either one, two, four, nine or sixteen plants in it, depending on the size of the plant. 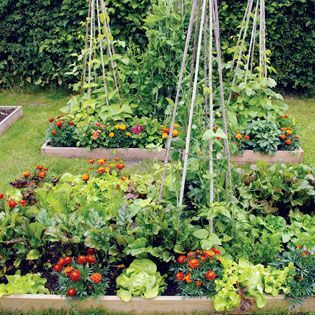 A plant support can be easily created, either at the back so beans and peas can climb up them or across the top of the bed to provide support to crops such as tomatoes or squashes. It is an almost fail-safe way to get started with growing you own, but it’s not to everyone’s taste. 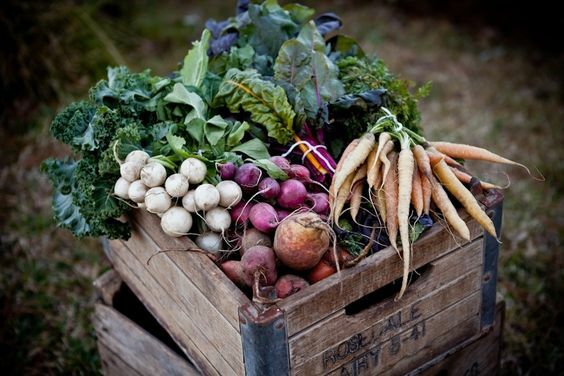 The experienced gardener can quickly outgrow the method, particularly if they want to grow large quantities of crops such as potatoes, fruit bushes and perennial plants such as rhubarb or artichoke. 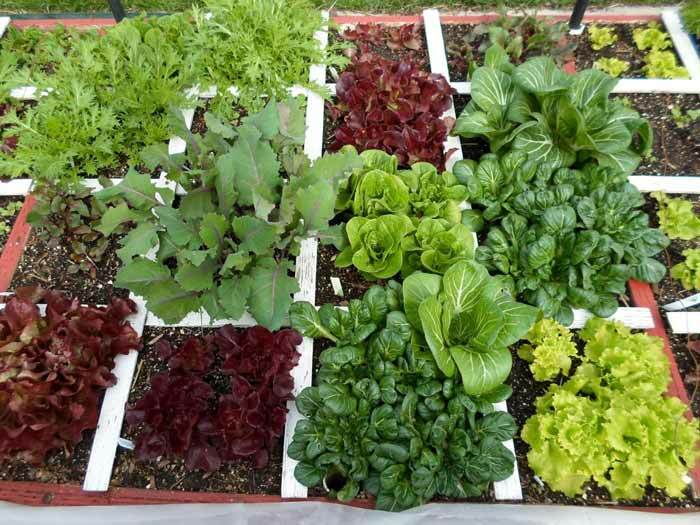 Square food gardening works brilliantly for beginners, for those who only have a small amount of space and for creating low-maintenance gardens close to the house to grow high value crops.